Another school shooting has occurred, this time in Maryland at the Great Mills High School. (See the CNN report: Armed student dead after he shoots 2 others at Maryland high school, sheriff says). Some people will herald this incident as a vindication of gun rights because the shooter was taken down by an armed resource officer in the school. I will leave that debate to others. I want to focus on why school shootings are happening in the first place. Yes, we can say school shootings are happening because of guns, but guns are not the whole story. Guns are not the root cause. Guns have been ubiquitously part of the fabric of American life going back to the Revolutionary War and before. Guns were accessible in our country throughout the 1800’s and 1900’s, but there was never an indiscriminate, mass school shooting until 1966 when an engineering student holed up in a tower in Austin, TX and began shooting at passersby on the campus below. Within months a copycat shooting took place in Mesa, AZ by another individual who spoke about inspiration from the Austin shooter and a serial killer. (See A Brief History of Indiscriminate School Shootings in the US) Copycat inspiration is a likely source of motivation for indiscriminate, mass school shootings, but copycat inspiration doesn’t explain why. Why would anyone be inspired to emulate such an example as a school shooting? Regardless of whatever we decide as a society to do about guns, we need to ask why! Walk Out or Stand Up? The news headlines were all about the national walk out yesterday. Students in schools cross the nation walked out of school in protest of the latest mass school shooting, urging politicians and other responsible adults to do something about the epidemic of school shootings. Judging by my Facebook feed, most adults supported and even applauded them in expressing their concern to the adults in their world. Meanwhile, I add my voice to the chorus of adults applauding our youth around the country for walking out in a show of unified protest and demand for the adults to make changes that will protect them from future attacks from indiscriminate mass shootings, but it isn’t enough. Granted, protests are a last resort for people who don’t have the power, or, perhaps, feel they don’t have the power, to effect change directly. It’s an attempt to prick the conscience of the people who do have the power to effect the change that is needed. At least that is the perception. Go ahead and protest. It raises social consciousness. It demonstrates a necessary urgency. It forces the issue top of mind and demands that we take the issue seriously. But it isn’t enough. Young people have much more power than they might think, but it will take much more effort, sustained effort, and we, as adults, need to help them in every way we can. Their lives may depend on it! Is there a more potent weapon today then a gun in the hands of a person with mal-intent? Are schools no longer safe places for children? These questions are not mere speculation, but serious deadly considerations in the wake of another school shooting tragedy. It’s clear that platitudes, like thoughts and prayers, are not enough of a response any more, as if they ever were. Not that we shouldn’t be thoughtful or prayerful, but “faith without works is dead”, as the brother of Jesus said. Likewise, if all we do is offer condolences and our thoughts and prayers, what good is that?! Our faith, if we have any, demands action. Where is the fruit? I get all of the arguments for the Second Amendment. I am a lawyer. Our nation was founded on the principles of an independent, free and empowered citizenry, and the right to bear arms was intended to ensure that freedom. Guns have been championed as a symbol of freedom. With freedom, though, comes responsibility (echoing the words of Eleanor Roosevelt). I’m a Christian, but I don’t get the popular Christian response to gun laws. Where in the Bible does it tell us to defend our rights to own firearms? Jesus told Peter to put down his sword, but he’s telling us to protect our guns? Thoughts and prayers don’t cut it when children are lying dead on the playground. Thoughts and prayers need to be followed up with love and action. We need to do something before there is another tragedy, and another one after that. But I am not just directing my focus on Christians. I see a much more potent weapon than guns in our society today. We are too often reminded of the evil that lurks in the human heart, yet we react in shock whenever and wherever it erupts. The examples are the favorite children of the media, the fertile ground for growing readership. We recoil from senseless acts of depravity almost as much as we stop and stare at these train wrecks that are memorialized before us and etched into our collective minds by print and other forms of media. We fixate on them and exorcise them by appropriate judgment and disdain for the insensibility of deranged souls that star in these real life dramas, but these tragedies and our reactions to them also reveal some ironic human tendencies. We are often not moved to great acts of goodness, except in reaction to tragedies. The more exposure to tragedies, difficulties and hardships, especially ones that do not affect us, the less likely we are to be moved by them to help others. When tragedy hits too close to home, we can be crippled into inaction; while the same tragedy experienced from a greater distance inspires others to action. Fortunately, for most of us, tragedies happen to “other people” and rarely hit close to our homes. Perhaps unfortunately for those of us so lucky to avoid the direct fall out of a tragedy, the shock waves quickly dissipate as we go on with our daily lives. Not many of us are able to shake off the sleep that sets in with daily routines in a way that affects any change. The emotion fades quickly to a factual memory, stored away with historical dates and numbers and other tidbits. I dare say that we tend to remain largely unaffected by distant tragedies after the initial shock wears quickly off. People are a funny lot. When things happen to others, we are not nearly so affected as when they happen to us, or close to us. When tragedy hits close to home, we tend to be deeply affected, and often deeply changed. The people who have been personally affected by tragedy, difficulty or hardship are the ones who devote themselves to helping others with similar experiences. Charitable organizations are often founded by people affected by the particular issues that the charities are formed to address. In this way, some people reap the fortune of other people’s tragedies. Almost every tragedy, whether it comes from human action, natural events or other ways, triggers an outpouring of generosity, kindness, good will and even heroism. The Sandy Hook shooting, 9/11 and many other human tragedies are followed by these outpourings of good. It occurs to me that this phenomenon is kind of like Newton’s Third Law of physics (every action has an equal and opposite reaction). For every evil that occurs, people are inspired to react with great goodness. There is certainly some irony in that. I am not sure why tragedies bring out the best in people. Maybe we are too easily dulled by everyday life into forgetting that people are in need all around us. It takes a catastrophic event, and clear evidence of need, to spur us to good actions. We are shocked into reacting. Tragedies caused by other people, perhaps, spur reaction as if the reaction, itself, can redeem the human race. No one would wish for tragedy to inspire goodness. Yet, tragedies do inspire goodness. We cannot avoid many natural tragedies like tornados, cancer and things out of our control, but there are things we can do to avoid man-made tragedies like the Sandy Hook shooting. A different kind of action is required to avoid these senseless actions by people. It takes pro-action instead of reaction. It takes intentional action in our everyday lives to be kind, generous, sensitive to others and willing to give ourselves to better others around us. If we all lived intentionally like that every day in our lives, we would not have as many outcast, downtrodden and tortured souls who end up acting on their impulses – and reactions to “evils” they have experienced – that results in tragedies like the Sandy Hook shooting. My inspiration for this piece actually comes out of the Sandy Hook shooting. 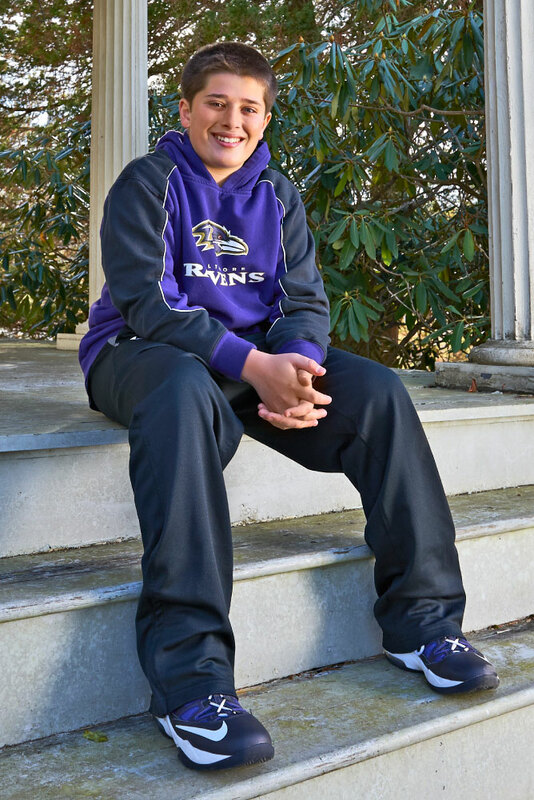 The inspiration is a fourteen year old boy, Jack Wellman of Newtown, Connecticut, who is living the example of this kind of proactive life. He has turned his own setbacks, difficulties and “tragedies” into opportunities to help others in small, daily ways that have a very positive impact on those around him and his community. What I like about this story is that it overlaps with the Sandy Hook tragedy, but Jack Wellman was living this life before the tragedy occurred, and he continued to live this way in spite of his own struggles with grief that threatened to overwhelm him when tragedy hit his hometown. Just as tragedy can spur heroic and good reactions, it can cripple action with grief and despair. Jack Wellman stands in contrast to Newton-like reactions we sometimes see and experience (or should I say Newtown-like reactions?). Tragedy did not spur Jack Wellman’s action, and tragedy did not stop him from acting either. This is the beauty of the human soul. We do not have to be instinctual, reactive beings, though we often are. We have the freedom to rise above those things and be our own agents for action and change. We can all be Jack Wellmans. If you have time, please follow this link to read the story of Jack Wellman in Sports Illustrated for Kids. Jack Wellman is the 2013 Sports Illustrated Kid of the Year. It is well worth your time.